The thing about Guam is that it’s a US territory but it’s filled with Asians, Pacific-Islanders and of course, Pinoys. So the food is both familiar yet foreign. Case in point, our visit to one of the mall food courts. 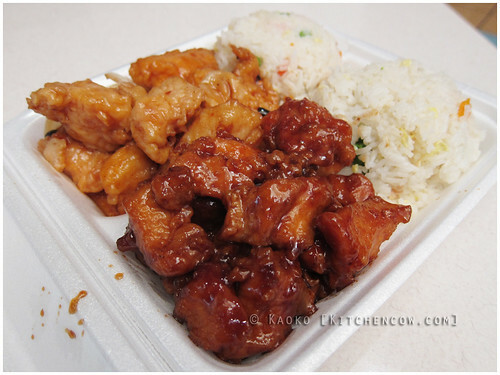 Chinese-style fish and pork plus fried rice. This came with spring rolls aka lumpiang togue. During our vacation in Guam, one of the things Pad insisted upon was a meal at one of the mall food courts. Memories of cheap, (the food gets discounted near closing time) filling meals after an afternoon of paddling needed to be satisfied. These cheap eateries are reminiscent of our local turo-turos. You get a selection of viands and rice at set prices. 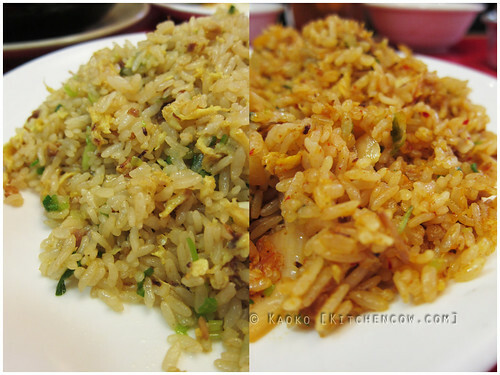 Seeing how large the servings were, we opted to split their a combo that offered three viands and two cups of rice. American servings, definitely. The food however, was cross-cultural, with a mix of Chinese, Filipino, Korean and other dishes. Turo-turo, Guam-style. 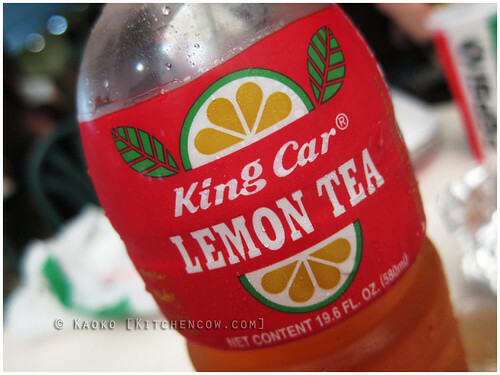 Pad insisted on washing the whole thing down with King Car Lemon Tea. It reminded me of those bottled tea drinks in SG, rather than our local C2. 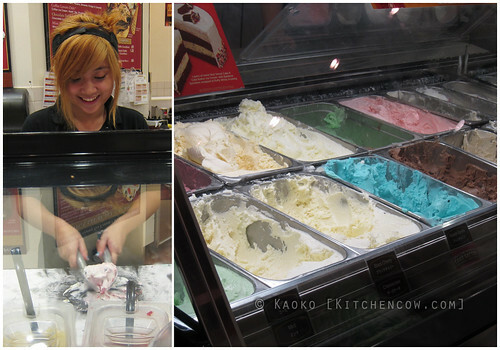 Kat and I never got to try eating at Cold Stone Creamery when it was still available in Manila. Pad used to have it all the time when he was still living in Guam. So making an ice cream pitstop there was a no-brainer. 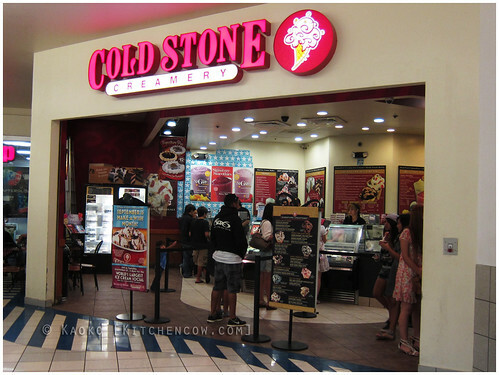 This international chain is known for their rich, premium ice cream flavors and various mix-ins that are folded together on a cold countertop, hence the name Cold Stone. I found myself ogling the display cases of ice cream and mix-ins, unable to make a decision on what to order. After what seemed like ages, we ended up going with their pre-designed combinations. I wanted something fruity, so I opted for the Berry Berry Berry Good. It had strawberries, blueberries and raspberries in a sweet cream ice cream base. The siblings Pad and Kat shared a Banana Caramel Crunch: roasted almonds, bananas and caramel folded in French Vanilla Ice Cream, served atop a waffle cup. A few bites into our ice cream and we were happy campers again, not minding our aching feet, spirits refreshed for another round of site-seeing around the island. Yummy ice cream is definitely food for the soul. Remember what I said earlier about how many Japanese restaurants were there in Guam? Well, we managed to hit up another Japanese restaurant despite the shortness of our vacation there. This time, it was a ramen joint called Fuji Ichiban. Pad and his friends came from a rigorous afternoon of paddling though, so we ended up with rice. Lots and lots of it. Even though I spent the afternoon having a beer on the beach, waiting for the paddlers to come back. After being seated, out came a parade of chahan, kimchi chahan, fried gyoza, karaage and chicken amazu, karaage’s sauced-up sister. The meal was satisfying enough, with the amazu chicken being the highlight. It was practically the same Japanese fried chicken, with the addition of a sweet and citrusy sauce, with just a teeny hint of heat. 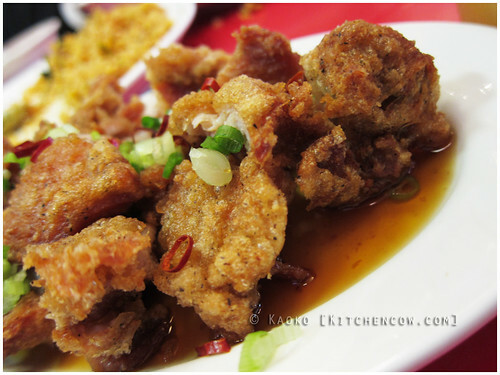 Looking back, I find it regretful that we were only able to try a few places in Guam. Plus, it saddens me that I wasn’t able to try real Chamorro cuisine. From what I’ve heard about it, it really is interesting, especially for us Filipinos because it mirrors our own cuisine. I guess this means one thing. I have to find my way back there, sometime soon! 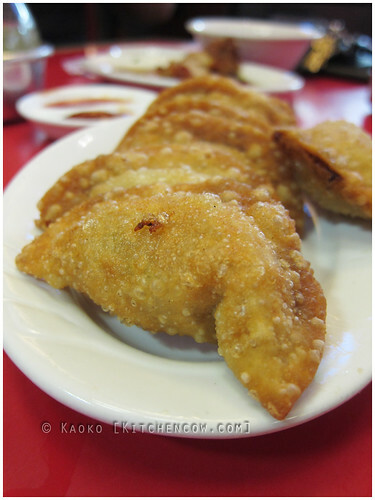 Find more Guam dining options on the first part of this post. The food court we visited was at Micronesia Mall. 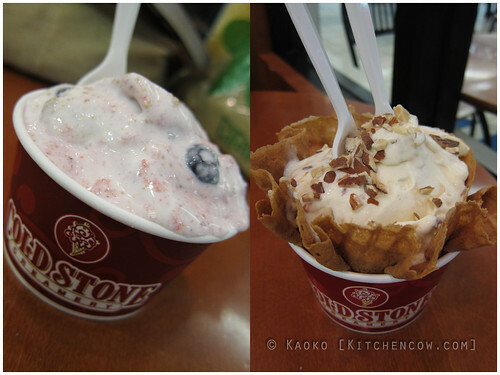 Cold Stone Creamery has branches in GPO and Micronesia Mall. Fuji Ichiban has branches in Tumon.